Comfortable shirt that will draw attention. 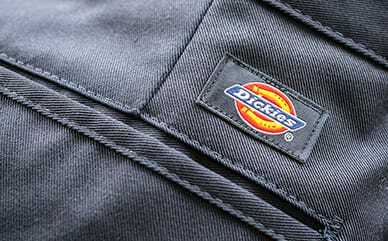 Dickies 100% cotton cropped black t-shirt with front white Dickies logo print on chest. Back center spiral checkered print. Boxy crop fit and soft touch.